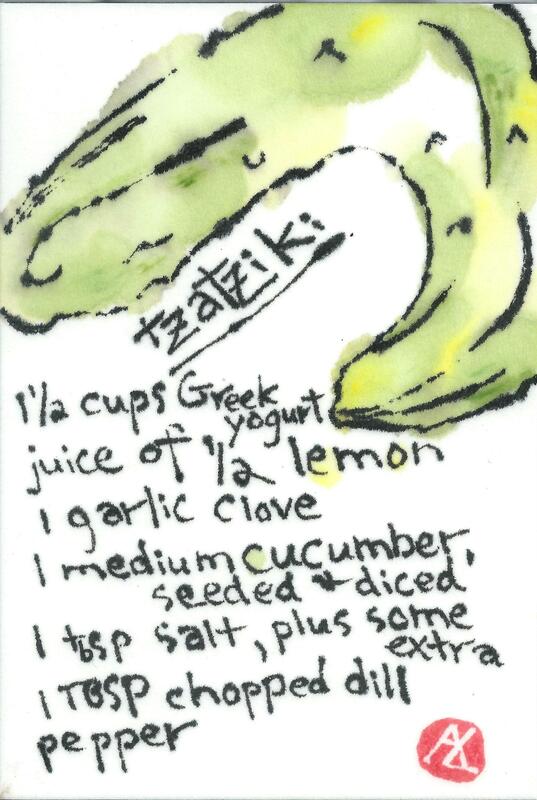 This REALLY is a great tzatziki recipe from Kalyn’s Kitchen. I have made it over and over again. There are some recipes with less steps (say, that skip salting the cucumbers) — they are all misguided. I don’t love how the etegami turned out. The ink I have started using — an old bottle of sumi ink I had hidden in a drawer for years appears to be either substandard, or it’s just too old. You can see in the top that the the black ink started to run. C’est la etegami. 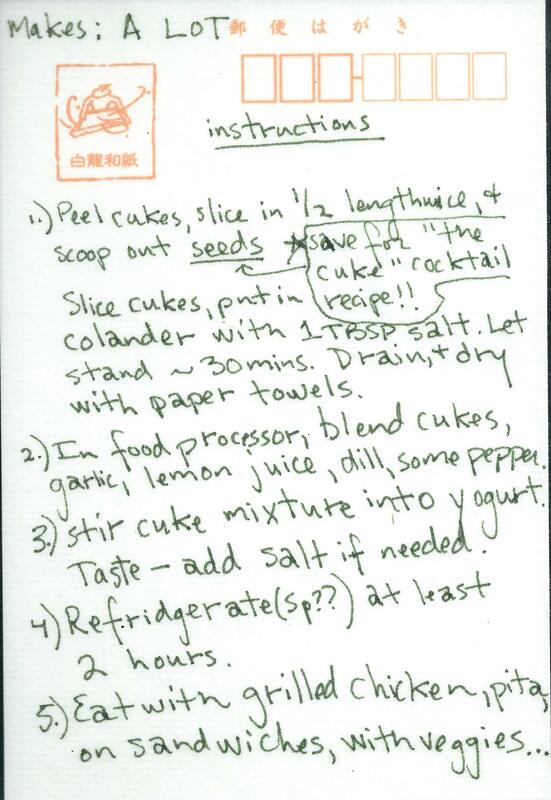 One last thing — be sure to save those cucumber seeds to infuse some vodka with, for my etegami later this week!